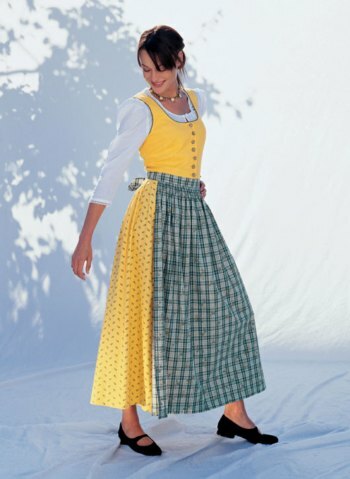 Close-fitting “Dirndl” in two fabrics with apron and short blouse. 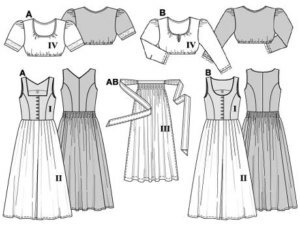 View A: bodice with square neckline, view B with round neckline, both with piping at neckline and armhole. 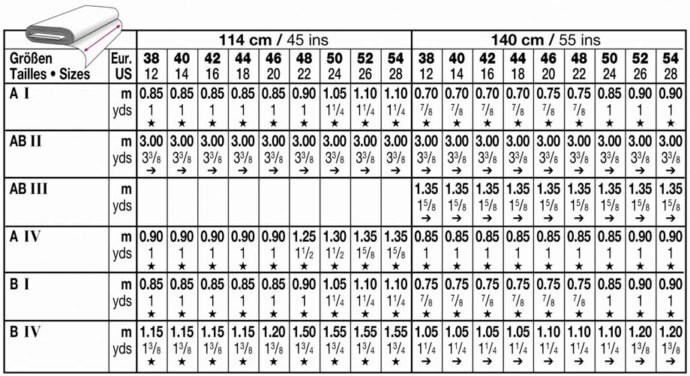 Skirts with front pleats and back gathers. Blouse A: with short sleeves and lace fabric edging; blouse B with ¾-length sleeves.